A lack of familiarity and education among corporates, and complexity over deal arrangements, is stopping corporates from ‘crossing the Rubicon’ and signing up to power purchase agreements utilising on-site solar, according to a panel investors speaking at last week’s Solar & Storage Live. Despite reports from as far back as 2016 that the UK was ready for large-scale deployment of subsidy-free solar installations on commercial sites via PPAs, many are still finding it difficult to secure deals in an environment where market knowledge has yet to catch up to the opportunities available. The panel, which also included representatives from Green Investment Group (GIG) and Investec, agreed that there was still a significant challenge in educating potential clients over the advantages of on-site generation. Richard Braakenburg, senior vice president for GIG, said early movers that had locked in long-term PPAs had seen electricity costs continue to fall, meaning the same prices “today don’t look attractive at all”. While this, he said, is “the nature of hedging” it has caused “a little bit of a ripple effect in the UK market” as firms hold off on signing up to PPAs in case prices fall further. "I think its a combination of education, familiarity, complexity"; Richard Braakenburg, senior vice president for GIG, on barriers to PPAs in the UK. “I look to develop distributed energy projects and work with people who have relationships with corporates to do that and my main barrier is more the development and sale cycle with those corporates,” he went on. 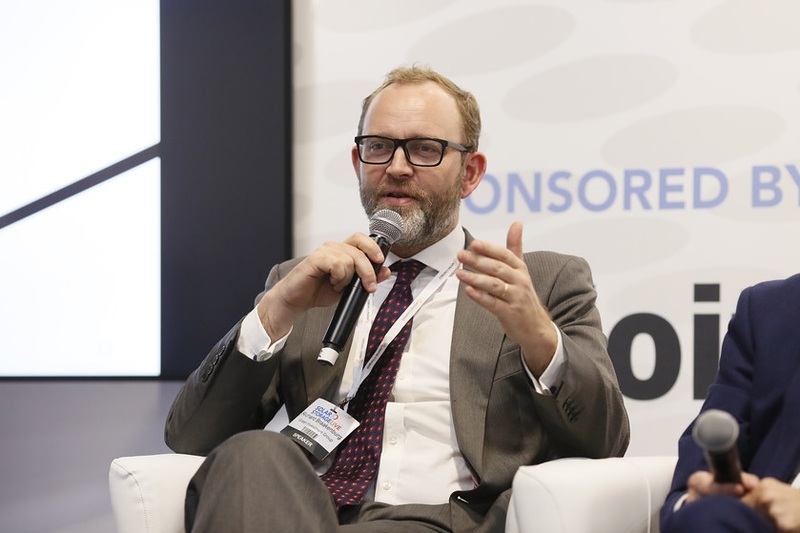 This is against the backdrop of growing commercial and industrial activity for solar as the UK moves to an unsubsidised market, as Olivier Fricot, European head of power and renewables lending, explained. “Over the past 18 months we've seen solar making a comeback and I think everywhere across the world subsidies are very fast disappearing so it forces people to think very differently,” he said. However, concerns over the risks involved in unsubsidised projects across all installs was continuing to hold back investment, with Simpson adding that activity is likely to take off in the first half of 2019 as prices reach a point that investors become more comfortable with the technology costs.